Bollywood Actor Salman Khan’s acquittal by the Bombay High Court was challenged today through a second Special Leave Petition before the Supreme Court. Last month, Maharashtra Government had also filed an SLP challenging the acquittal. The Government’s SLP is listed on February 12. The petition, filed by deceased Noorullah Sheikh’s son, and wife, contends that the High Court reversed the Sessions Court judgment “hastily… without giving any thought to the crux of the Prosecution case”. It demands interim compensation to be paid to the petitioners. The petition also demands final compensation to be paid under Section 357 (3) of the Code of Criminal Procedure, in case the Apex Court allows the appeal or under Section 357A of the Code of Criminal Procedure, in case the Apex Court confirms the acquittal. The petition has argued that the High Court erred in holding that Section 33 of the Evidence Act, 1872 was not applicable to the evidence of Ravindra Himmatrao Patil, who was the complainant and an eye witness in the case. It contended that late Mr. Patil’s evidence would remain unchanged despite the additional charge under section 304 of the Indian Penal Code. It further argued that Mr. Patil’s evidence should not have been termed weak, solely on the basis of omissions in the FIR. “Nothing was brought on record to show that his relations with the Respondent No.1 were not cordial. Ravindra Patil further stood to gain no benefit by falsely implicating the Respondent No.1 in the present case. In fact, considering the fact that the Respondent No.1 is considerably powerful and influential, doing so was against his interests. Ravindra Patil was thus an impartial witness, as was noted by the Court of Sessions, and the Hon’ble High Court committed grave legal error in reversing the said finding merely on the basis of some omissions in the FIR and minor inconsistencies in the statement of Ravindra Patil,” the petition contends. It claims that the High Court failed to note that the evidence had established that Salman Khan was driving the vehicle on the night of the incident. It relies on the testimony of Sohail Khan’s bodyguard, Shivraj Patil, who had deposed that Mr. Khan and his friend Kamal Khan had visited with his bodyguard. He did not mention the driver visiting with Salman. The testimony of the injured people that it was indeed Mr. Khan who had exited the car from the driver seat after the incident has also been pointed out by the petition. Evidence of Mr. Khan being drunk and not having a valid driving licence has also been brought forth. Various witness testimonies to this effect have been relied on by the petition. “The Respondent No.1, after the accident did not even attempt to render aid and assistance to the injured persons. In fact, the Respondent No.1 did not inform the police and ran away from the scene of the crime. It is submitted that the said actions of the Respondent No.1 give rise to grave suspicion regarding his role in the same, and further strengthen the case of the Prosecution, and the testimony of Ravindra Patil,” it states. 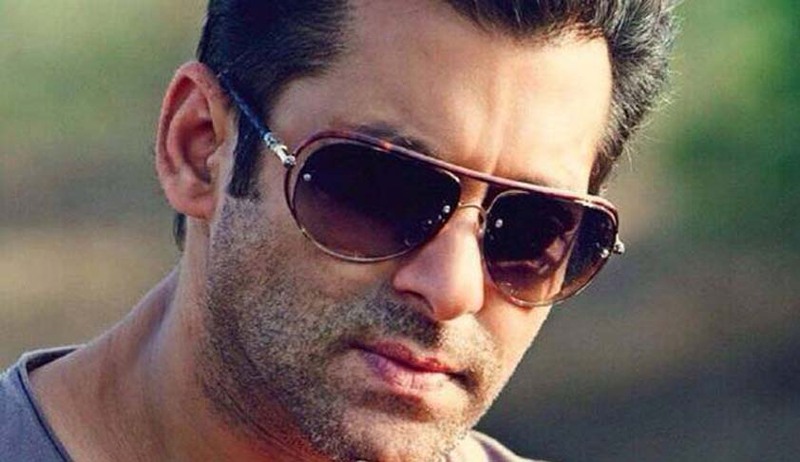 The petitioner’s have further questioned Salman’s driver’s testimony, claiming him to be influenced by Mr. Khan. “DW-1 expects the Court to believe that his conscience was awoken belatedly after almost 15 years, despite having been silent on the incident all throughout. The said stand is unacceptable, and is required to be weighed against the evidence of Ravindra Patil, who was an independent eye-witness to the incident,” it contends. On 28 September 2002, Salman Khan’s car had run over a group of persons who were sleeping in front of a suburban bakery on the pavement. The accident had resulted in death of a person and had injured four others. He had then been found guilty of various Sections under the Indian Penal Code, including S. 304 Part II, Motor Vehicle Act and Bombay Prohibition Act. The verdict was however overturned by the Bombay High Court last year, allowing the Appeal filed by the Bollywood superstar against the Trial Court verdict which had sentenced him for five year imprisonment. Justice A.R. Joshi had acquitted him of all charges holding that the prosecution failed to prove the Case beyond reasonable doubt. You may read the judgment here.